So I may have a mild obsession with coconut! No joke. I absolutely love them. From coconut milk, to coconut water, to coconut desserts and fresh coconuts -young and mature. 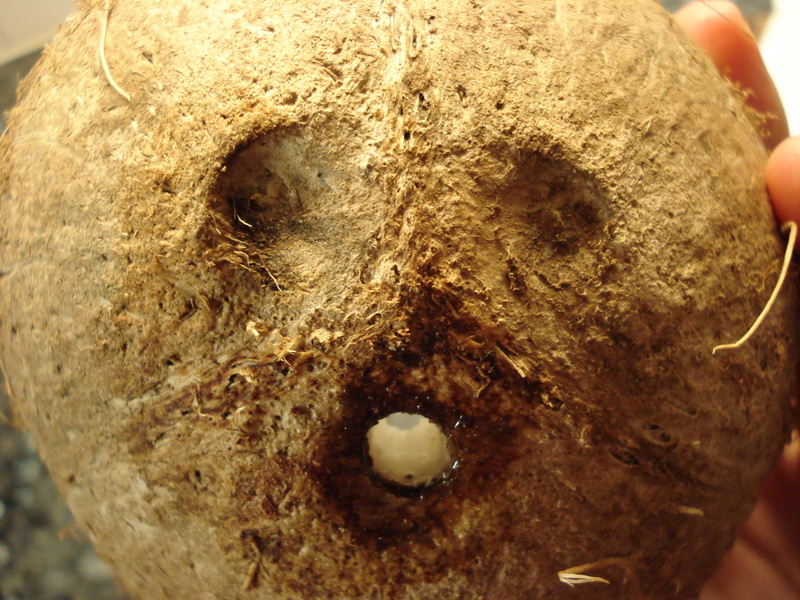 Speaking of mature coconuts; last week was the first time I have opened up a coconut. Everyone was telling me that it was going to be so difficult and that I would have to whack it with a massive clever, yada yada ya… Basically that they are too much work. But hey! – I am always up for a challenge, and nowadays nothing is really that hard to do anyways. All I had to do was Google it! Back to my coconut. – One of my favorite post workout drinks….coconut water. Of course fresh is preferred from some young coconuts, but If you can’t get that, there are lots of canned and even powdered alternatives. 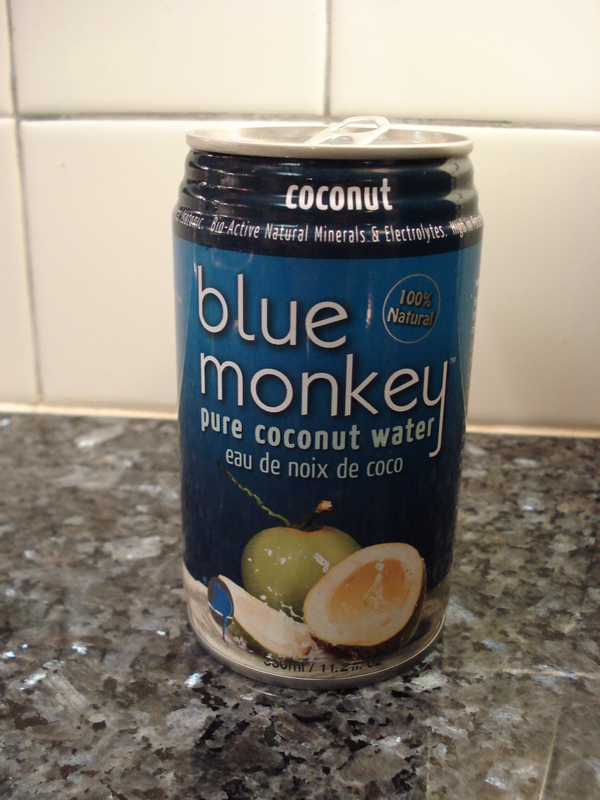 I drink Blue Monkey Coconut water, that I get from whole foods. I have also tried the brand O.N.E and Zico in the States. I have yet to try the powdered versions that you mix with water. Apparently they are not to bad either. Coconut water is a great recovery drink after a hard workout. It is loaded with micro nutrients such as sodium, potassium, calcium and magnesium. Which help replenish lost electrolytes and get you ready for your next work out. NOTE that it is definitely an acquired taste that is not for everyone. If you’re like me I will drink it anyway, but it is best COLD. Try it with some freshly squeezed lime for some extra love. This entry was posted in Exercise/Fitness, Food, Life by In Ev's Corner. Bookmark the permalink.